Juffern AG has nearly thirty years of experience in the pulp & paper industry and is present wherever power is generated, distributed or controlled. Our advanced control systems, application technologies, and skilled personnel give our clients a competitive advantage in their production process from start to finish. 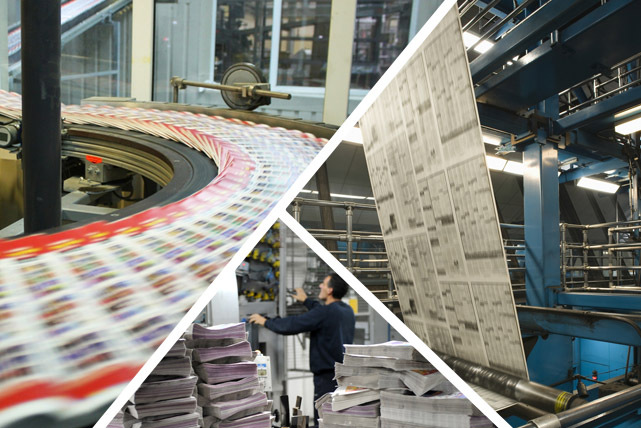 In the print industry, it is essential that the logistics, from paper roll storage over prepress to the folder outlet, are well planned and thought through, to make sure that the daily newspaper is ready at the breakfast table. Together with you, we can survey your plant in detail. Time is of the essence! Therefore the different processes have to be well co-ordinated. We look forward to analyse your processes in detail and help you optimise them. Dispatch logistics play an essential part in ensuring a time- and cost-efficient product delivery. We can support you in establishing and implementing cost-optimised dispatch logistics that meet all your needs.